"MongoDB as the best database solution"
MongoDB has been very useful due to its full integration with apps, its scald allows to grow applications faster and even more securely. Their code syntax makes attractive the platform to administrate the data and its complements to be accesible and active full time and gets the minor risks when situations o faults could happen. Documentation may be confusing at some concepts and subjects. Even instructions has to be in other former and larger languages. With the same styling of themes Some features could be missed and not be localized at the user administrative interface. Best way to get NoSQL service at the cloud. One of best Cloud Performance. Well sometimes relational database applications get stuck about their rapid growing, so on those cases, implementations of MongoDB on data migrations use to be a great option. Could be even faster to export data into files that represent Json files and called them into the database instance available at the platform. "Best cloud hosted no-sql service I've used yet." Ease of use, availability zone coverage, billing structure, and Stitch as a backend as a service. I've worked with both the free version and the enterprise ( paid contract ). If you are just starting out it can be very difficult to get a useful response from support; it's often better to go to a forum and try and ask someone with the enterprise package if they have any advice as you most likely won't hear back from support on the free/low tiers. The organization structure representation in the web interface could potentially use a little more clarifying ways to show how users belong/have access on various levels to different clusters. I've used Atlas for startup and the large enterprise monolith rewrite scenarios. On a new app scale being able to use Stitch as a backend as a service makes rapid and solid development a pretty mind blowing experience. On a Enterprise level when you are dealing with the latest trends like GDPR requirements for encryption ( at rest and in transit ) or simply trying to move old, old, old mongo stores because they are now to large to support on the companies own physical pad anymore Atlas really makes the migration as simple as it can really be. The migration tool that you can use to move data stores is a game changer when also using VPC peering for older infrastructure. Building solutions at the speed of thought. Near-zero learning curve. Removes the need to build time consuming plumbing ie no need to develop backend services (both Authentication and data access/CRUD) allowing me to focus on the core value-add of the app (the front end). Being able to rapidly try out new things (R&D of various side projects or test different approaches for the core project). Their support is outstanding - much better than I expected. Nothing about the product. But it would be great if they could provide a way to be kept up to date with a product roadmap and version releases. Rapid innovation and R&D ( I have been able to rapidly prototype several ideas - a load quicker than I have ever been able to). It means a single individual can progress both R&D or develop a main production app incredibly quickly. I have used MongoDB atlas for my project last year , it is best in all manners specially in geographical representation of data. as a student it is best for academic projects because using MongoDB instead of traditional SQL Database saves lots of time. Most of the features and dependencies are cloud oriented , if there can be option to perform offline structural operations it will be best . Actually i used MongoDB Atlas for my college project , i used it for sensors data from my project . benefits i got from Atlas is geographical representation datasets and its manipulation. The layout and the no-nonsense approach to showing what's needed. The connection parameters can sometimes bewilder a newbie who's using a database GUI for the first time with the SID, port #, etc. But I really found Atlas pretty much easy to setup - perhaps the well explained user guide that I viewed before might have something to do with it. Once connected, viewing your datasets might take a bit more time, especially if you are more used to the traditional SQL database structures. Once you get the hang of it, you really don't see the difference any more. The filter text box that appears on the query screen is not pretty intuitive at all. At least that's how I felt during the first days of experimenting with Mongo DB. I pretty much felt better writing queries in the CLI interface rather than trying it out in that text box. Perhaps the syntax errors could be highlighted or explained more - however, if this means dumbing down the product, I would very much be okay with not having it done in the first place. Drop the idea that your database interface needs to be complex in order for it to be awesome. Sometimes, all you need is a simple one to get your product out to the market faster. We currently use another NoSQL database for our current product and we have come across limitations in terms of maintenance and memory resources required to keep running it. Additionally, this database doesn't have a native GUI to interact with and some of our developers have not become fond of it. When we started experimenting with MongoDB, the availability of GUI that's simple and easy to use has been a huge bonus in increasing the comfort level your experience while attempting to shift products. This has led to more of our non-developers in our team to start trying out Mongo DB - especially the ones who were intrigued on the NoSQL concept. "Best DB for Huge Data"
I like the capabilities it provides, Various functions through which we can perform complex tasks witing microseconds. The analysis and Reporting made really easy by using the large amount of data and process that easily through the MongoDB. It stores the entire data in JSON like documents which can be changed overtime. It provides the powerful method like indexing and real-time integration so that it can simply access and analyze your data. features of MongoDB such as JSON or BSON Data Storage,Performance, and Scaling. These features come together to create the most powerful database that can monitor, manage, and process huge volume of data in a rather systematic way. The major and very common problem with a growing web application is scaling. To overcome this, MongoDB has come up with Sharding feature. It is one of the greatest key features of MongoDB.It is a schema-less database (written in C++) because of which is much more flexible than traditional database tables. can be used as a file system with load balancing and data replication features over multiple machines for storing files.supports multiple storage engines. has a rich Query Language, supporting all the major CRUD operations. The Query Language also provides good Text Search features. It is only for the Non-Relational Data. So Whenever I need to use it where the data is in relational format then i can't use it. But the best part of using MongoDB is that you can play around with huge data sets without any problems. "The best way to host data in the Cloud"
Have a free try with the Free tier! "Stabilized product with useful features"
Stabilized, cloud ready can be access easily. Liked the deployment features. Available tutorial to learn the tool quickly and easily. Nothing to dislike, I like this very much. Missing the instant interpreter Getting difficult to migrate to MongoDB from relational database which can be added more value. Can be consider if anyone wants to work in nosql. With free tutorial, this database is easy to learn and can be consider for long term use. I would recommend this to consider this for nosql project. We are planning to use this tool for analyzing data from various geographical locations. Currently doing the feasibility study and discussion is under process. "My usage of MongoDB Atlas"
Its ease of use is heaven-sent. Setting up a cluster is very easy, and you can choose between lots of providers, in many regions. MongoDB Atlas has hooks that can be used to send out alerts to Slack for example, or to be used by your own customized service. User management is a breeze, as is managing your clusters. The free tier is a nice thing to have and the documentation is great. The free tier, while nice, is very limited. You can only choose one provider, one type of machine and it covers limited regions. It's more than enough for a sandbox environment, or for a small app, but anything above that should use one of the other tiers. Try it out with the free tier, setup some hooks, do a backup, explore the functionalities. It has a lot to offer. MongoDB Atlas allows for a fast and slick integration with MongoDB, entrusting the management of your clusters to the people building MongoDB. The service is run by the MongoDB team, so the support is always provided by those making the database, and everything is setup as it should be. There's no headaches. Set it up, run it. Using MongoDB Atlas allows me to forget about infrastructure management and things like that, and many database-related maintenance tasks (like backup) are either taken care by the platform or are very streamlined and easy to use. I started using Atlas because they had a free plan that fit my needs. I think the features provided by Atlas (replicas, backups) are similar to other hosted offerings. Atlas excels at offering the latest versions of MongoDB. The query builder in their admin UI was not helpful. I struggled to use it at times but it was not worth the effort. Take advantage of their free offering. It is quite easy to spin up an instance and get started. I was already sold on NoSQL databases. Atlas made it easy to use a (recent) version of MongoDB. "Stable, fast and at our company;s present size - free"
Also - Why not offer a visual management tool for free tier too? encourage developers to use all your tools and your service will be more sticky anyway! now we are using robo3t instead (and what's preventing us from switching to mLab? "Flexible & Powerful, MongoDB is Web Scale... ;-)"
Easy to implement, but also full featured and capable of Enterprise scaling and security when going to Production. The platform is constantly improving and adding value and features. The user community is very helpful and willing to lend a hand with new chums. For Minimum Viable Product development, mongoDB is a great way to get a database platform up and running that can grow and scale as your product matures, and there is a large curve under which you can operate on the free community edition before having to license enterprise features. It also is quickly and easily deployable to a localhost setup in multiple instances for testing and development. While there are robust security features available, many of them are only in the paid "Enterprise Advanced" version for on-premise implementation, such as LDAP, Kerberos, AD Integration, etc. Using the MongoDB Atlas DBaaS platform will give you the ability to implement these features on a scalable sizing basis, but you are locked into the cloud at this point. Take advantage of the MongoDB University free courses for Developers and DBAs available on their website. You will learn a great deal about the product and ways to leverage it in your environment, and also prepare for their certification exams. We love the ability to take disparate formats of incoming data (CSV, XML, JSON, Excel, Tab-Separated, etc.) and drop them into unstructured collections for processing by the application layer without having to massage them into a standard schema for import. I was looking database with a dynamic structure and MongoDB certainly delivers. The object model used is flexible and adapts well to changing content. Having lived in the relational world it take some getting used to but its very powerful. The free tier of Atlas is great to explore and prove out ideas. The documentation on learning is also great. The toolset to explore is limited. A built grid control would be useful. I am building a product that allows user to build their own web pages for storing data. Mongo DB allows for the creation of the collection with minimal overhead. As the users alter the pages MongoDB adapts to the the new fields fantastically. The biggest benefit I've realized is the speed. It is amazingly fast. "Easy to use, reliable and highly-maintenable"
Metrics dashboards are built-in, and support/docs are very well laid out and executed. UI is easy to navigate around with StitchApp available for spinning up quick apps. Command line tools were hard to locate, as they are essential for administrative work. Comparing Atlas to other hosting services, Atlas comes straight from MongoDB, which gives it a superior advantage over others when it comes to support and documentation. I've used other hosting services more, but is convinced that Atlas is the better solution when it comes to implementation. Prototyping for a new idea, MongoDB Atlas make things easier than ever to setup and test the proof of concept. Everything is highly maintainable through Atlas and let us focus on the actual problems that we're trying to solve. "One of the best MongoDB-as-a-service offerings out there"
Launching and managing MongoDB clusters is dead simple on Atlas. The documentation is good. UI is nice/usable. Comprehensive feature set (especially for enterprise) if you're willing to pay for it. Some features like managed backups are overpriced ($2.50/GB/month). Support was great when it launched but now they seem to be tiering support and pushing more expensive enterprise plans. I also wish they supported DigitalOcean; AWS/GCP/Azure are okay if you want VPC peering but the hidden costs (bandwidth fees) can add up quickly if you plan on working with large datasets. If you know that you need MongoDB and you're looking for a good managed/hosted offering, Atlas is great. But make sure you know why you need MongoDB - too many people are buying into the no-SQL hype. Postgres now supports JSON and provides better overall performance at lower cost for most typical use cases I've seen. We were looking for a good managed MongoDB-as-a-service solution - Atlas has been great for this. "MongoDB - powerful and reliable"
I like the easy setup and the awsome performance of the database. You can easily setup a cluster environment in minutes on a development machine. The document-structure and schemaless design makes you think different, but more realistic (you need not hassle around with plenty of tables only to get your simple business model). The Atlas-Cloud-Service is great for production, where you can easily "outsource" the database-administration... but you keep full control over your database-environment. Try it out and register to the MongoDB-university with free onine courses, which gives you a good starting and introduction to the product and its usage. Further, read the awsome online-documentation, which comprises many tutorials. The benefit for me as a developer is, that I can concentrate on business feature development and that the database completely fit to Domain driven design. It makes things easy, and that is the main benefit. MongoDB has a very good performance with basic setup, and it is no problem to handle multi-millions of dicuments. And you have additional features to optimize (replica-sets, sharding and so on), so MongoDB scales very good. Finally, it fits into plain JavaEE development (you don't need JPA, you can use the plain JavaDriver or Morphia as an object-mapper). I really liked the service so far, I am using it for a personal project I intend to use commercially eventually, so I have used Atlas for development purposes only so far but I am quite satisfied and will most likely use it once I get to complete and use my project publicly. None so far. I am still implementing a system on it, I haveven;t had any issues. NoSql is not a perfect fit for all systems, so my only recommendation is to evaluate that, if it is MongoDB and Atlas would be what I recommend. Atlas fits pergfectly for what I need, it plays nicely with RoR and is very convenient to use. "MongoDB: An easy way to store data"
Document Model is easy to understand and use. Sharding (horizontal scaling) is also easy to implement and gives a very good way to distribute the big workloads across multiple replication sets, while working seamlessly with them. A new feature added in version 3.4 called Geo-distributed Zones relaxes the load even more. It is easy to implement data replication using replica sets. High stability and good performance. It's also easy to learn and develop for. 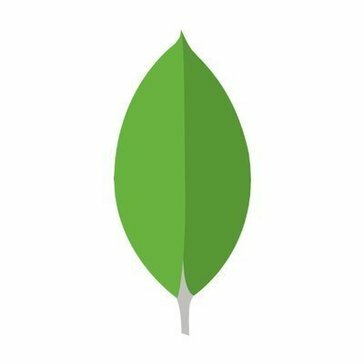 MongoDB has also launched an online learning website called MongoDB university which helps you to learn a lot about the capabilities of the DB as a developer and as a DBA for free. This website adds a lot to the value of the product. It also has a db as a service solution called MongoDB Atlas and a nice UI to manage the DB called MongoDB Compass which makes life easier to see some reports. Almost nothing until now. I just use it occasionally because at work we are using a different database product. Scalability and ease of use for developers like me. "Great DB for non relational pourposes"
The mongoDB its a extremely eficient database for non relational data. Items like blog, with tags, or even credit cards, with a lot of transactions, is better worked on MongoDB. It evens let you insert various types of data in the same field. The use of non relational database also allows the better use of data pools, with a better performance and easiest use, so i can use a lot more of IOT devices, using just a litle specs, like "id" and "info", and controlling the data is more aplicable in field, with just a few modifications to change the hardware versions, and even holding the data from legacy IOT devices. Its a little more new than the others, so dosn't have as much resources in the community. Its a little more hard to find answer in Mongo than MSSQL or MySQL. But i know that this comes with the time. sensor data from multiple equipaments, and the mongo let me use a simple data pool to use for data management. Hardware revisions and changes is still a pain in others database, specially in relational databases. In non relational databases, is easy to change my devices, and use the mongoDB with new specs. In deployed ones, i dont need to change the software to use with the upgraded ones. Both models can work toghether, and this is a huge step, and with less worries involved. "A journey to become a data modeler from a developer"
The support of document to store data. Which is very similar to OOPs concept of objects data model. The support of replication inbuilt which made it is easier to role-out for production without downtime. Setup is extremely easy. No downtime for switching to newer version. Works with most of the languages for app development. Making an app on MongoDB takes less than few hours to test end-to0end flow. With the support for SSL based communication it is mostly secured from man-in-the-middle attack. The development team in MongoDB is continuously releasing new versions and patches that is a very positive thing. I've used from versions 2.2 to 3.4 it is an amazing journey so far. Administrating became easy with Atlas. Based on your requirement decide. As MongoDB supports huge volume of data, try to maximize your usage. Mobile based access of data for an wearable device. From minimum capacity to maximum everything is covered. We read/write data even for secured applications also, like credit card info. "Worth a try option for cloud hosting MongoDB"
The time required to host your database and get it up and running is literally of the order of minutes.It's very fast and the free tier is quite generous and good enough for trying out ideas. Free tier does not allow query profiling. Cloud hosting of database for a resource management application. We were able to complete the development of the application within the free tier of 512 MB. Provides a simple and clean interface to connect the database to my web applications. I have experienced issues using MongoDB with macOS High Serria. There is some problem regarding the updated file system. Atlas is a comprehensive solution that is both easy to use and powerful. It provides a range of powerful features without requiring a high learning curve like some of its competitors. With Atlas I can use a single server to handle all my database needs and if I need to scale out in the future I'm confident in MongoDB's sharding feature to handle a higher throughput. in the company I have a data capture service of trackers and the data to be different according to the type of equipment, it was much better to use the mongoDB and the service of the mongoDB atlas for the management of the same, facilitating backup, provisioning of resources etc. "MongoDB Atlas is a good tools for data cleaning and selection"
MongoDB Atlas supports geolocation data and can show points on a map. That benefit alone is already bypassing many other alternatives. Also, the user interface of Atlas is easy to understand and doesn't require too many effort to learn its query language syntax. The relational database users always say, "MongoDB will search from beginning to the end in order to find a record. It will take a long time when the record is stored close to the end. " Many people doesn't know that MongoDB uses index. "Easy to use, Good documentation"
1.SImplicity and easy to download. 2.Easy to use and configure multiple data. 4.Great community.and nice video lectures available handy to give a quick start. 1.Some times connections do take time and keep on loading the schema. 2. Some training vidoes/sessions were little confusing as the dataset used in the video lectures and actual dataset available were little different. 3.No query facility if we really want to run some query. Need to depend on shell again. It is good and worth trying. Easy to manage. Easy to use. GIves you quick start. Effortless configurations. Nice community. Good security features. 1.Training,viewing and understanding schemas of huge volume data. 2.Setting up monitors and alerts. "Maximum quality at a click of a button"
What we like most about the service is the simplicity of the platform and the level of customization that we can achieve with practically no effort. This is a very positive point, as we do not have to be thinking about how to do certain actions. For us it is a high-performance product. He gives us everything we want at all times, we can't put a single ounce of blame on him. We recommend the product to anyone who does not want to waste time provisioning servers. This service gives us what we want without stopping to think. The platform has helped us to get more out of the monitoring of entities in our program. Obtaining a faster access to the large amount of data we have. "Wonderfully easy without sacrificing usability"
The clearly defined pricing tiers and clean UI allow a student like myself to easily get started using a remotely hosted database without the headache of registering for development accounts or configuring a server. The metrics window could be a bit more intuitive when using the basic tier as it is a bit confusing to newer users. I manage user data for a mental health supoort group of over 4000 people. MongoDB atlas allows me to easily integrate my python-based software with the remote database. "Ideal database for high-performance applications"
"Cloud Database on all cloud platforms!" Support for global reads and writes and integration with other MongoDB products like stitch and bi connector. Pricing not always clear, mostly this is an issue when data transfer is in play. Low latency writes for cloud based applications. Easy operational support! "MongoDB Atlas - Best hosted MongoDB service around!" MongoDB Atlas makes creating and maintaining production quality MongoDB deployments (following industry best practices) a relatively pain-free experience. Great overall features, low prices relative to competitors and great customer support! The service has been rapidly improving since it's launch last year! No dislikes come to mind. Previously the 2-FA login flow was frustrating, however, this has been updated and it's the best 2-FA login I have experienced! Creating/maintaining MongoDB deployments, allows us, developers, to focus on development and not the dev-ops around our DB deployments. "Right tool for the right job"
Managed production ready clusters on a variety of cloud platform, perfect for wherever you host your solution. Great enterprise grade tooling for database admin and monitoring. Some issues connecting Azure Service Fabric apps to an AWS hosted cluster, but Atlas' tech support were on point to help us out. High scalability with high availability for our micro service architecture. Schemaless document storage has enabled rapid innovation within our development team. "The best NoSQL Database on the cloud"
I am working in a product based company. Last year, we started using MongoDB for database. Its a first growing NoSQL database which having large user community. MongoDB having lots of cool features which you cant expect from any other database. With MongoDB Atlas, that provides high availability, high performance and easy scalability. High memory usage and limited data size. "easy to use, clean UI"
easy to manipulate and manage database and to see size of database, free for small projects. easy to see usage, good documentation. The speed in which one can set up a scalable database environment and automate many tasks that normally require several steps to accomplish. The task of scaling one's environment is greatly simplified and can often be upgraded and/or downgraded to fit a particular use case with no downtime. There are some things, like auditing and data encryption are not yet implemented inside Atlas. I use Atlas for prototyping and R&D work and have been able to quickly develop in a much more real world environment than I would otherwise be able to. With just a few clicks i was able to deploy, operate and scale my mongoDB database. Database as a service is also made possible in a very easy way. Initial training is required for proper setup and use of MongoDB. This is one of the best softwares for running a distributes database. Very effective. Implementation of database as a service is the biggest problem mondoDB solved for our busines. "Creating MongoDB have never been easier"
It is easy to get started. In just a few simple steps you will get your MongoDB cluster up and running. It would be nice to have the free tier with more storage space. You can really save a lot of time and effort in managing the database after adopting MongoDB Atlas. It allows spending more time on developing cool apps rather than managing databases. I like dealing with distributed systems and integration between large applications. I dislike staying too long in a project without evolution in terms of technologies. We are dealing with integration between our application and many e-mail marketing systems. As the protocol and body of messages vary from one provider to other, NO SQL database is better to store all data regarding the integration. The program is very good and it includes a wide variety of options. Nothing. The performance and funcionality is perfect. "MongoDB Atlas is a great way to serve your data." The service is fast and easy to work with in an application. For my small projects, it is still too expensive. It's aim are larger scale projects. I feel it to be a great solution for large scale web applications. Data backend for E-Learning site proposal. It did not get accepted. Using mongodb can be daunting for new users unfamiliar with CLI or JSON. MongoDB Atlas makes data much easier to visualise, manage and manipulate. I don’t have any major dislikes for the software. "Good and easy to use database "
"Best service for DB in cloud"
Productive database for heavy data processing. I highly recommend the network security and also the application performance. * We monitor all MongoDB Atlas reviews to prevent fraudulent reviews and keep review quality high. We do not post reviews by company employees or direct competitors. Validated reviews require the user to submit a screenshot of the product containing their user ID, in order to verify a user is an actual user of the product. Hi there! Are you looking to implement a solution like MongoDB Atlas?